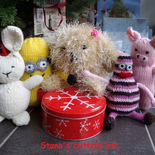 This cute and soft toy is knitted in the rounds from the bottom to the top. 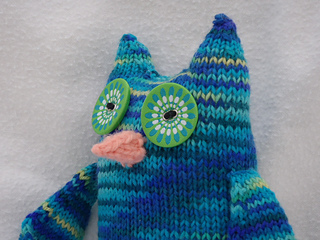 The wings are knitted separately and sewn on later. You will need less than a ball each of two different colors yarn in sport to medium worsted weight. 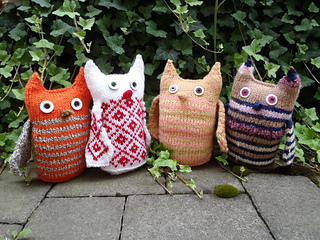 Also you will need a small amount of red or light brown yarn for beak. Or you could use a nice self striping yarn if not doing the stranded colorwork/fair isle. The pattern is written row by row, with photos and charts for the stranded colorwork.